Would you like to be one of the first to see all the Spokane MLS Just Listed Hot New Listings matching your price range? If the answer is Yes, you might want to consider signing up to have all the Spokane MLS Just Listed Hot New MLS Listings matching your price range Emailed to you immediately as they are listed in the Spokane MLS or have them emailed to you immediately when the listing is entered into the Spokane MLS Database, once a day, once a week, or monthly. You can choose often you want the Just Listed Spokane MLS New Listings emailed to you on the form below. Then start checking your Email Inbox to see if you received any new Spokane MLS listings. 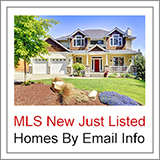 We Email you the new listings, soon as they are entered into the Spokane MLS database. This is the best way to ensure you will be one of the first to see the new listings in your price range. You may Opt-Out and Cancel at any time and we'll stop Emailing you the new listings. We can also change your search options and price range for you at any time. Just send us an Email with your changes. Give it a try. You'll like this service. You may Opt-Out and Cancel at any time. 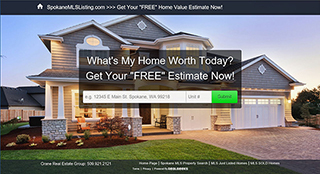 This FREE service will save you many hours trying to keep track of all the Spokane MLS Just Listed Hot New MLS Listings matching your price range, as they come on the market each and every day. Just complete the form below and start receiving all of the Spokane MLS Just Listed Hot New Listings matching your price range as new listings are entered into the Spokane Multiple Listing Service (MLS). matching your price range, as they come on the market each and every day. Just complete the form below and start receiving all of the Spokane MLS Just Listed Hot New Listings matching your price range as new listings are entered into the Spokane Multiple Listing Service (MLS). Note: Check your Email once a day for new listings which we will send directly to your Email inbox in a Spokane MLS format including the remarks section about the property and photos (if they are available in the Spokane MLS). You will not receive Emails for new listings unless they match your price range. This will save you many hours trying to track the new Spokane MLS listings. 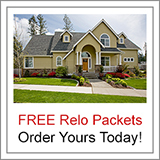 Select the Price Range, Bedrooms and Bathrooms. 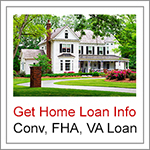 We use this information to search for your Just Listed Homes from the Spokane MLS database. 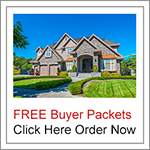 Please be sure to select how often you will want the new Spokane MLS Just Listed Homes Emailed to you.